A training programme on CET and Competitive exams in association with Vijayavani newspaper was held at PESPUC on Dec 21st 2016. 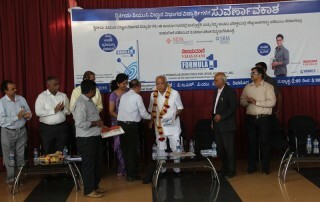 Formula book was released on this occasion. Sri B S Yeddyurappaji, Member of Parliament, Ex-Chief Minister - Karnataka addressed the PU students on this occasion. The parents meeting were held on 18th of August 2016 for Science stream and 19th of August 2016 for Commerce stream. 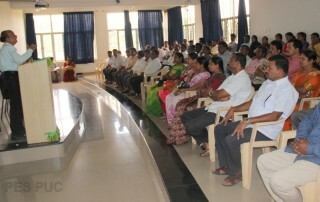 Parents of I PUC and II PUC Science and commerce students had attended the meeting. 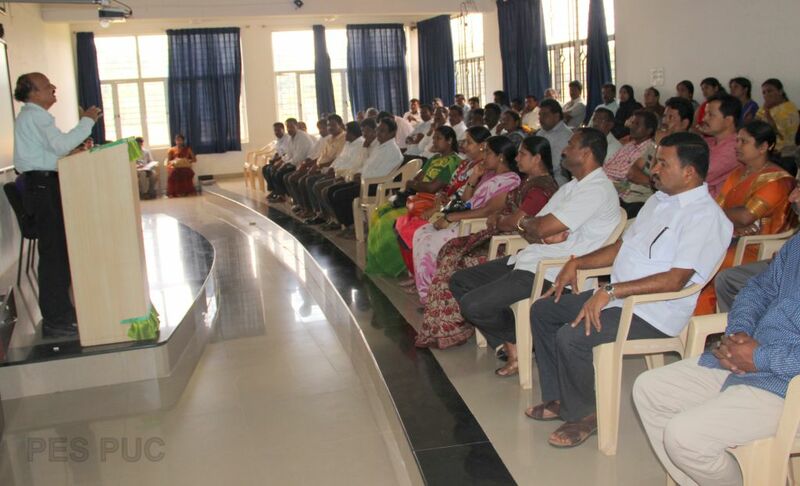 M.H Krishna Murthy, Principal PES PUC briefed the parents in details regarding rules and regulations, disciplines, academic plans, extra care taken as remedial measures for slow learners. Parents felt very much satisfied with the college system. 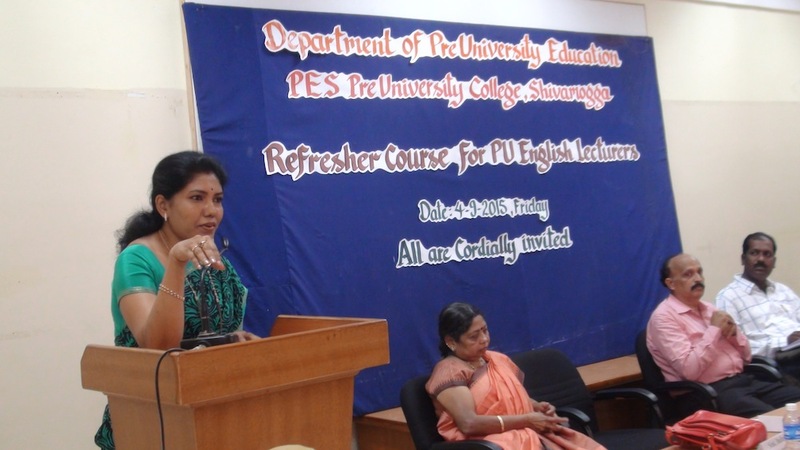 Mrs. Bhuvaneshwari, Vice Principal PES PUC spoke on the disciplinary actions being taken in the college and gave information regarding the test and examination. 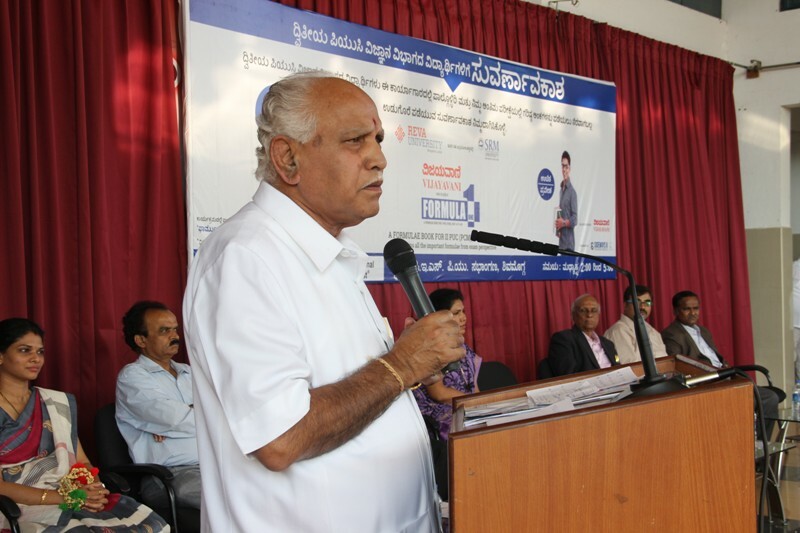 The formal inauguration function was presided by Smt. Arunadevi and the Chief Guest was Mrs. Indumathi H, DDPU, Shivamogga and the resource person Mr. Siraj Ahmed were in the stage. 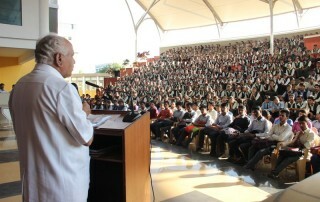 Mr. Bharath, English Lecturer PESPUC conveyed the programme. Mr. Krishnamurthy M H, Principal, PESPUC welcomed the gathering. Smt. 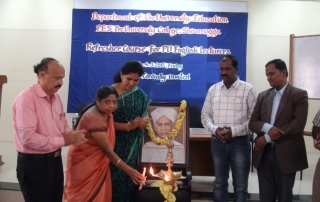 Indumathi in her inaugural speech expressed the necessity of conducting such Refresher Course so as to equip the teachers to the need of the changing education system. 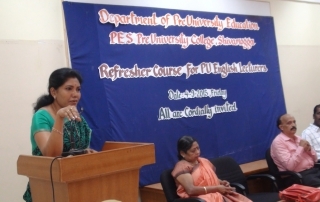 She also thanked the PES Management for having organized the training programme. Smt. 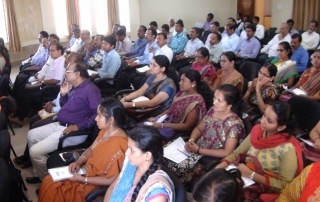 Arunadevi opined that such training programme would enable the teachers to improve their quality of Teaching and also helps them to have introspection. She also felt that there is a lot of responsibility on the shoulders of the English Teachers as they have to prepare the students to compete at the global level. The chief guest also felicitated by Smt. Arunadevi on the occasion. 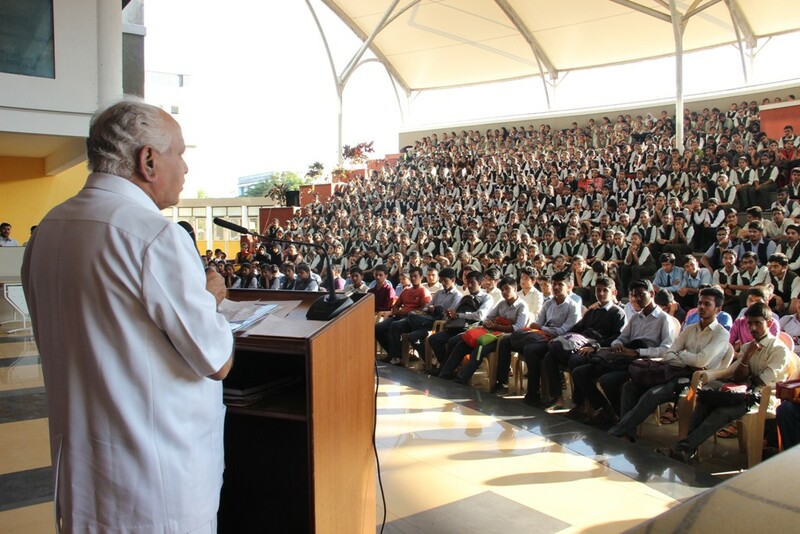 On this occasion more than 120 lecturers across the city have taken part in the training programme.